Not all businesses have customers who pay for their goods or services up front. Some businesses give their customers 30, 60, or even 90 days to pay their bills. While such flexible payment options may work well for customers, businesses can encounter temporary cash flow shortages if they’re waiting for too many customers to pay. When this happens, many business owners choose to use invoice financing to free up some working capital. Invoice financing is a type of loan that’s made based on the value of your outstanding invoices. 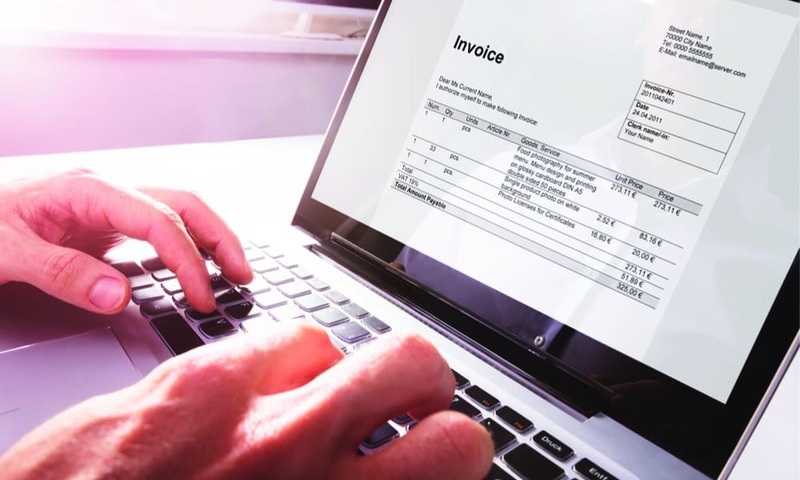 Lenders who offer invoice financing typically don’t loan the full amount of the invoices, but they do loan a large percentage of their value, helping business owners get enough money to keep their business going until the customers pay their bills. This financing method is more commonly used by B2B companies rather than companies that deal with individuals. How Is Invoice Financing Different From Invoice Factoring? Invoice financing and invoice factoring are two similar types of business financing, but they aren’t exactly the same. With invoice factoring, your outstanding invoices are sold at a discount to a third party known as a factor. The factor then becomes responsible for collecting payment from your customers. Once the factor is paid by your customers, the factor pays you back the difference between the amount they advanced you and the full value of the invoices, minus a factoring fee. If you choose invoice financing, your outstanding invoices are simply used as collateral for a loan. Your customers still pay you as they normally would and you repay the financing company according to your agreed-upon schedule until the amount of the loan has been paid off, plus any applicable fees. In the case of invoice financing, the invoices themselves serve as collateral so there is no need to provide any other types of assets to secure the funding. This can be particularly helpful to smaller businesses that do not own major assets. Invoice financing is much faster and easier to apply for than regular business loans, so it can provide you with some extra working capital without having to deal with long applications or having to wait a long time to find out if you’ve been approved. The approval process for invoice financing is usually completed in a matter of days, not weeks or months. Invoice factoring can also be an option for newer businesses and businesses that don’t have ideal credit scores since lenders focus more on your invoices and your customers and less on your credit score. Although lenders typically don’t advance the full value of your outstanding invoices, they generally finance a large percentage of their value, often as high as 80% or 90%. Since invoice factoring is a type of short-term financing, interest rates can be higher than they would be with a more long-term business loan. Not all types of invoices may be eligible for financing. Generally, lenders who offer it will only be interested in financing invoices issued to other businesses, not individuals.